DRAGONS: The fire-breathing archetypical monster of legend and myth is thoroughly reviewed, with character sheets for dozens of varieties of dragons, tips on how to use dragons in your campaign, and more. OTHER MONSTROSITIES: Dragons aren't the only gigantic, fearsome monsters out there! 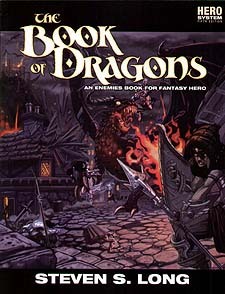 The Book of Dragons includes nearly a dozen additional monsters that you can use as-is, or take as inspiration for designing your own monsters. So get ready for the toughest monsters your heroes have ever faced in The Book of Dragons!